Poultry and small livestock are a great addition to urban homesteads. Some can even be raised in the city! 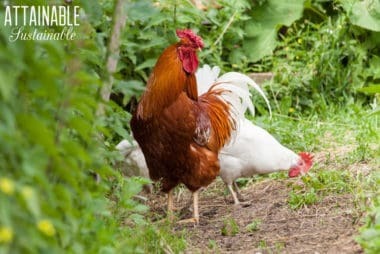 Our little hobby farm is currently home to twenty or so laying hens of various ages and breeds, as well as a few ducks and a couple of rabbits that we’re keeping for their lovely manure. And of course the cats. The ducks and rabbits are relatively new, but I’ve raised my own chickens almost as long as I’ve been raising my children. The chickens are easier. Before I actually had chickens, I wasn’t so sure about that. What to feed them? How to house them? How much work would they be? While my folks did raise chickens at various times during my early childhood, it was a bit sporadic and well, frankly I didn’t pay much attention. Turns out, the care and keeping of chickens is pretty ridiculously easy. In fact, they might even do some of your work for you! Scroll down for more on incorporating small livestock into your hobby farm, or use the search function at the top of the page to look for something more specific. Make a DIY chicken swing from items you probably already have on hand. It’s easy and a swing for chickens is instant entertainment for you AND your hens! 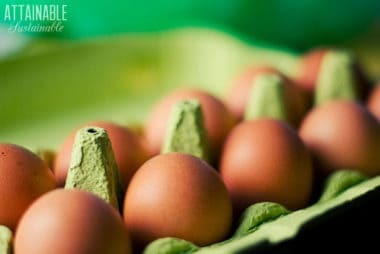 5 Ways to put your hens to work! Take advantage of their natural foraging habits and put chickens to work in the garden. Free labor, plus you’ll get eggs! 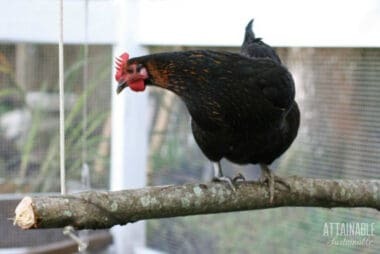 Raising backyard chickens? Here’s what to feed chickens without breaking the bank. Save money on feeding chickens with these cost-cutting techniques. There are some obvious (and some subtle!) differences between duck eggs & chicken eggs. 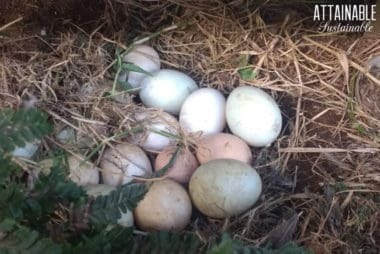 Learn why you might want to consider ducks when thinking about eggs. Do You Need Chicken Lights in the Hen House? Ever wonder why your hens’ egg production decreases in the wintertime? Here’s why, how chicken lights help, and a discussion about whether or not you should use them. 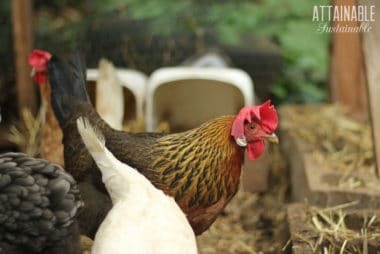 DIY chicken feed is as easy as growing a chicken garden full of foods that will nourish your flock for less. 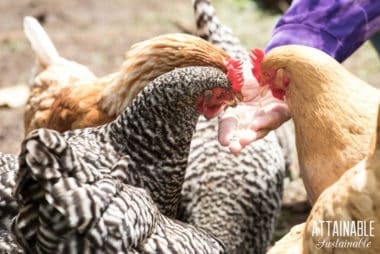 Growing chicken feed cuts feed costs, too. 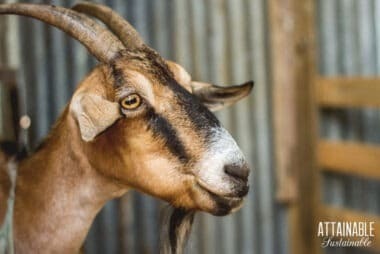 Adding dairy goats to your homestead? Check out these five goat farming basics that you should consider before you bring your first dairy goat home. 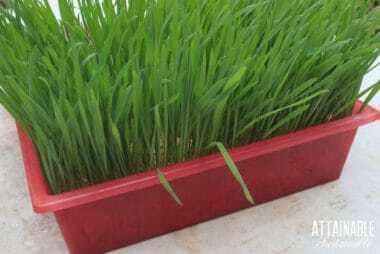 Cut your animal feed costs substantially by growing fodder from oats, wheat, or barley. It’s inexpensive chicken food and good for other livestock, too. Choosing which duck breeds are best for your backyard farm requires a bit of assessment. Are you raising them primarily for eggs? Or are they meat birds? 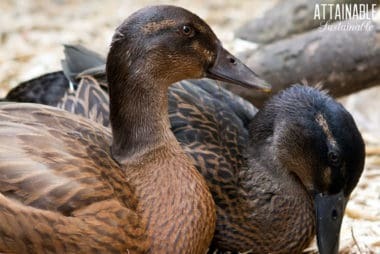 Do you need a duck breed that is docile? Or is it okay if they’re a bit nervous? Here are three to try, complete with what you can expect from each.